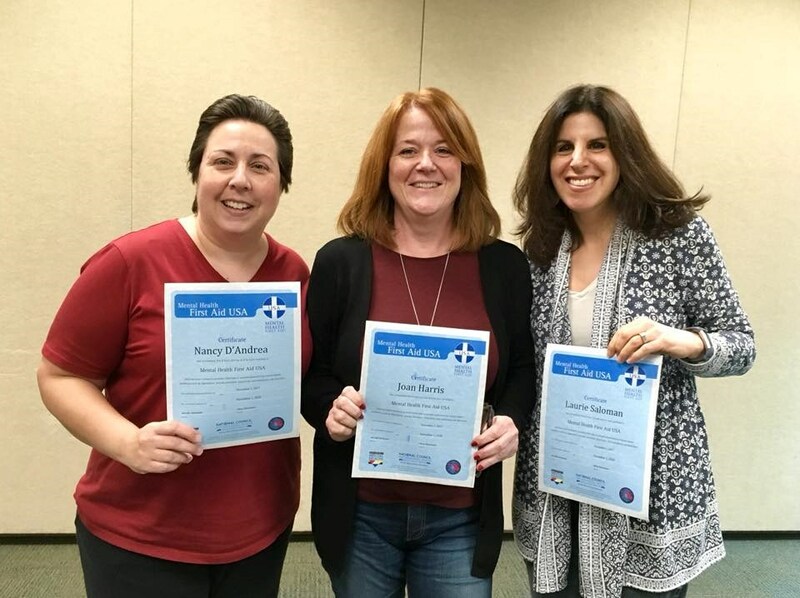 BTDC Chair, Nancy D'Andrea, Township Candidate Joan Bannan Harris, resident Laurie Greenwald Saloman, and residents Kat Ma and Nidhi Idnani (not shown), all did the Mental Health First Aid training on November 1, 2018 at the Bernards Township Library today. What a fascinating and eye opening experience! This training is strongly recommended for everyone!